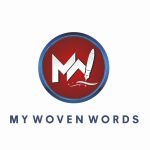 The 2018 OSCA WOVEN WORDS COMPETITION is organized by My Woven Words and it is only for undergraduates of tertiary institutions in Osun State as approved by the ministry of education, Osun state. Terms and Conditions apply to the entry of all contestant. If you have questions, please re-read the rules, then, if necessary, contact us for clarification. TOPIC TO WRITE ON: The Tenacity of Nigerian Youths in National Development and Leadership Roles. DATE: September 24 – December 21, 2018. Winner: #50,000 cash prize, a Certificate Award, become a freelancer for Isoko Africa and many more opportunities. First Runner Up: #30,000 cash prize, a Certificate Award and many more opportunities. Second Runner Up: #20,000 cash prize, a Certificate Award and many more opportunities. Many Other Prizes and opportunities for lucky contestants. All the write-up will be published online, irrelevant of your position. All contestants get a certificate of participation, irrelevant of your position; which is very good for your CV. The best write-up will be published in a reputable newspaper. Also note that the guest speaker on the day we’ll present the best 10 contestants will be: His Royal Majesty Oba AbdulRasheed Adewale Akanbi; Oluwo of Iwoland. Many other great dignitaries supporting this competition will also be present. The OSCA Woven Words Competition is open to undergraduates of approved tertiary institution students in Osun state Nigeria. Write up must be original and unaided. PLEASE USE A VALID EMAIL. After filling the form below, a link will be sent to your email which you will click to submit your write up. We don’t want to limit any contestant, which is why the write-up could be any form of write-up (Poem, article, short story, essay, etc.). Please save your write-up with the reference (Transaction Code) which will be sent to you after registration. It must not be more than 500 words; It must be typed in Microsoft Word format using Calibri theme font and 14 font size. A non-refundable form fee of #1000 will be charged at the point of registration; you’ll use your ATM card or USSD code to pay, please note that the payment is safe and reliable. But If you have any issue paying your form fee at the point of registration below, please text or WhatsApp Johnson on 07036065752 for an alternative. PLEASE NOTE THAT ENTRY IS CLOSED, THANK YOU! Adeleke UniversityBowen UniversityCollege of Education IlaFederal Polytechnic EdeFederal Polytechnic EjigboFountain University OshogboJoseph Ayo Babalola UniversityKings UniversityLadoke Akintola University of Technology (LAUTECH)Livingspring PolytechnicObafemi Awolowo UniversityOduduwa UniversityOsun State college of Education IlesaOsun State Cooperative College Ode-OmuOsun State Polytechnic Iree Osun State Polytechnic EgbedoreOsun State Polytechnic IfelodunOsun State UniversityRedeemers UniversityThe Polytechnic Ile IfeWolex Polytechnic"